I have something kind of super embarrassing to share with you. If it were up to me, I would totally keep this a deep, dark secret. But what I’m about to tell you was a learning experience for my human mommy. She’s lived a long time. 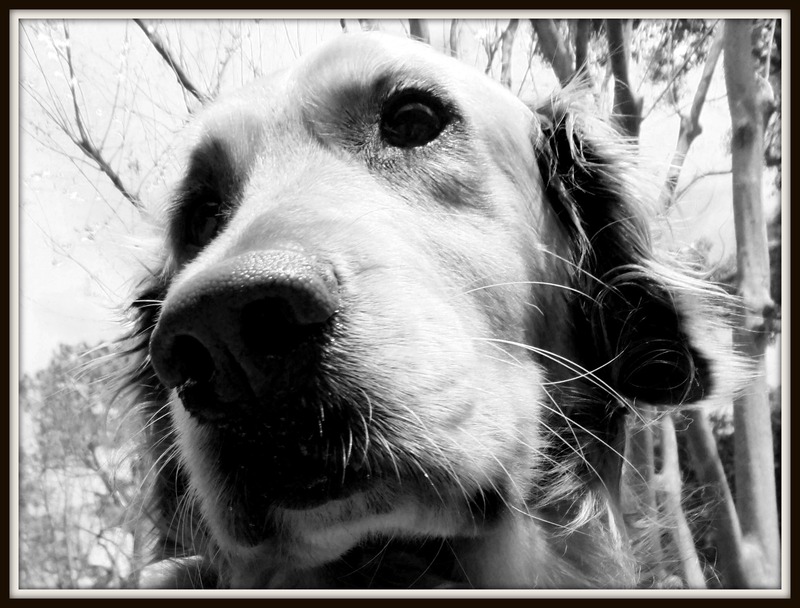 In fact, she’s 378 years old in dog years (hey, if I have to be completely embarrassed, she does too). She’s had a lot of dogs, but she’d never been through this with one of her dogs. So she thought this terribly embarrassing thing I’m about to tell you might be new to you, too, and that I should let you know about it. “Sharing is caring, Miss Lee,” she said. Sure, easy for her to say. Anyway . . . deep breath . . . here goes. Several months ago, Mommy noticed this teeny tiny growth on my lip. 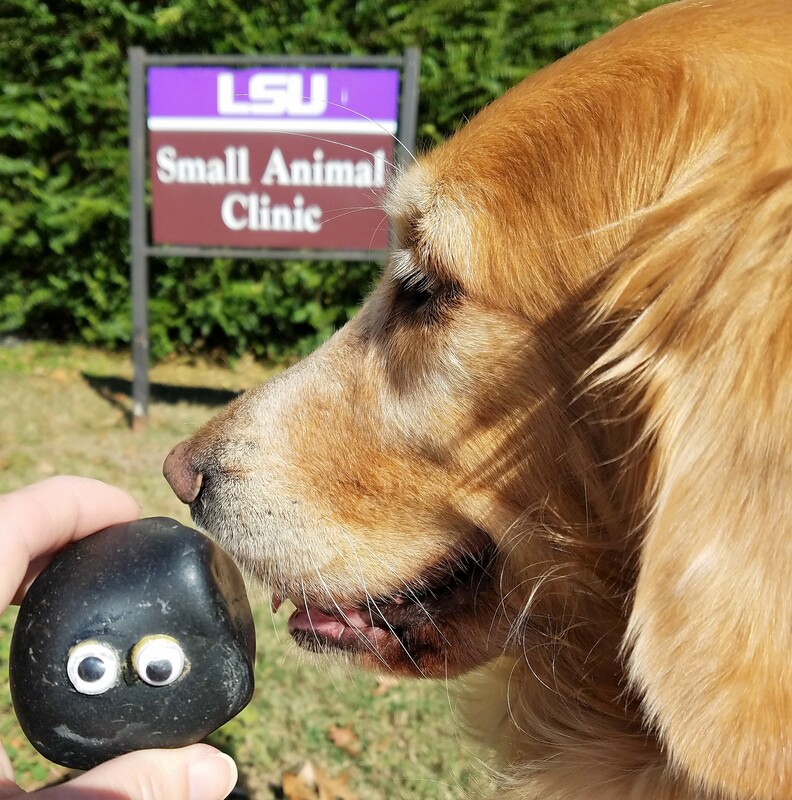 We happened to be going to the LSU vet school in Baton Rouge a few days later, so Mommy asked the lady who does my hip and elbow dysplasia therapy if she thought we should see our local vet. (Mommy knew good and well what the answer would be, but sometimes humans just have to hear it from another human.) Miss Jennifer said she thought it would be a good idea. 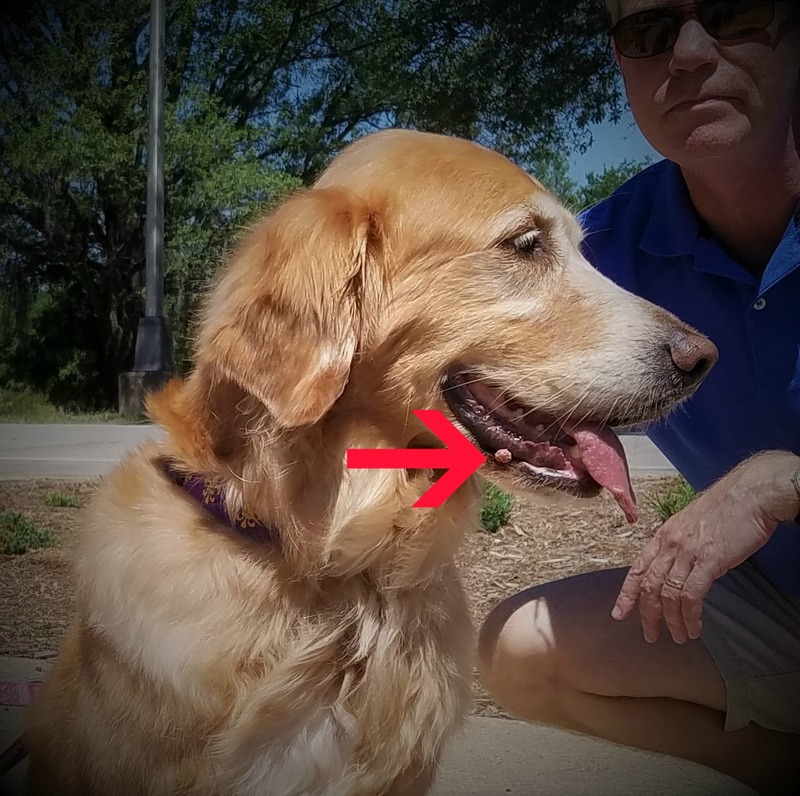 She said it probably wasn’t anything; but if it was something (and when human ears hear “something” their brains immediately think “cancer”), the vet would want to remove it when it was still small and before it had a chance to go into the bone. The minute we returned to New Orleans, Mommy made an appointment to see our vet the next day. The next morning on our daily walk, Mommy and I passed by our neighborhood groomer, Hair of the Dog. We stopped to visit with Miss Morgan and Mommy told her about my little growth and our planned visit to the vet. And that’s when Miss Morgan said this: “It could be herpes.” WHAT!?! She said that one of her clients had just canceled a grooming appointment because his dog had herpes and that it was going around some of the doggy day care facilities. WHAT!?! Mommy found herself in a bit of a state of shock and braced for what the vet would diagnose later that afternoon: nothing (I mean probably not; how often is anything ever nothing? 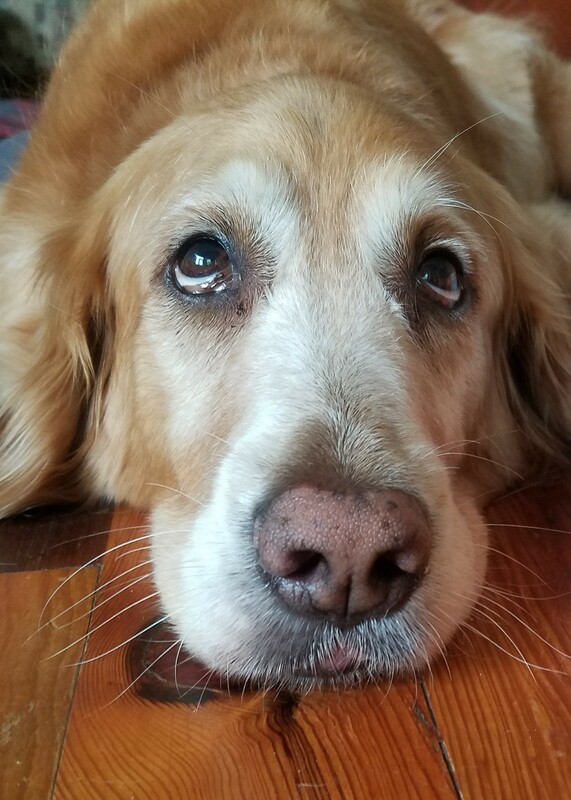 ); cancer (every dog parent’s worst nightmare); or herpes (totally new to her and completely mortifying). The virus can only be spread among dogs. It is not contagious to humans or to other pets. 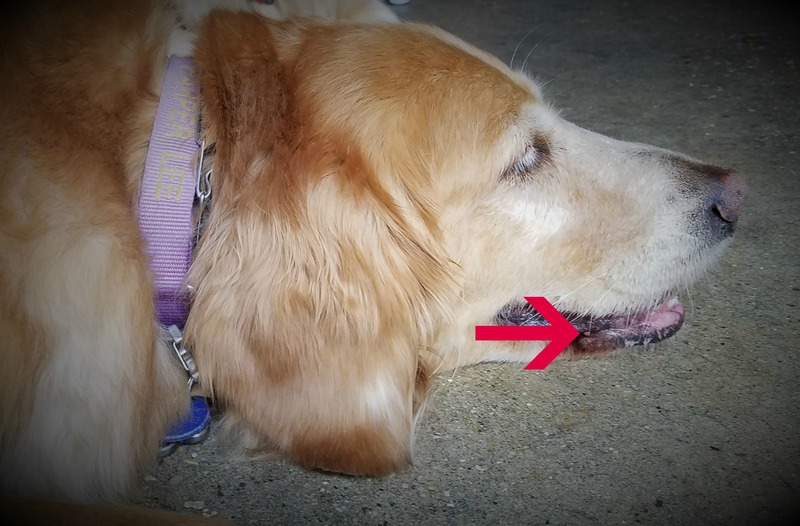 The virus is transmitted through direct contact with the papillomas on an infected dog or with the virus in the pet’s environment (toys, bedding, food and water bowls, etc.). The incubation period is generally one to two months. Viral papillomas generally go away on their own after one to two months. Recovered dogs cannot be infected with the same strain of virus, but there are several viral strains. Viral papillomas are classically fimbriated, meaning they are round but often have a rough, almost jagged surface reminiscent of a sea anemone or a cauliflower. They occur usually on the lips and muzzle of a young dog (usually less than 2 years of age). Less commonly, papillomas can occur on the eyelids and even the surface of the eye or between the toes. Usually they occur in groups rather than as solitary growths so if one growth is noted, check inside the mouth and lips for more. 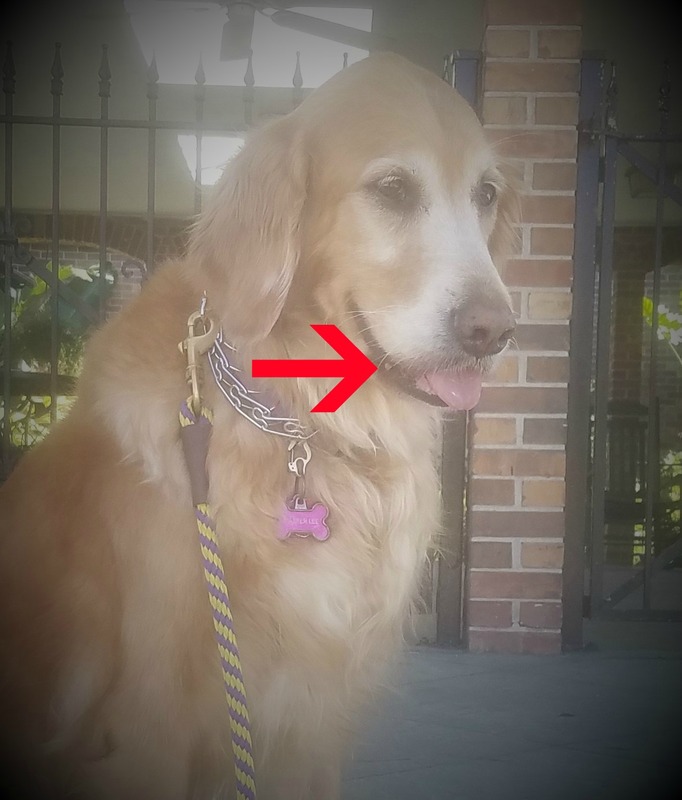 My case was unusual in that I only had one papilloma (for which my human mommy will be eternally grateful) and my infection happened when I was significantly past two years of age (I am now eight years old). We really have no idea where I came into contact with the virus. I hadn’t been boarded or visited doggy day care in the one to two months before it appeared. 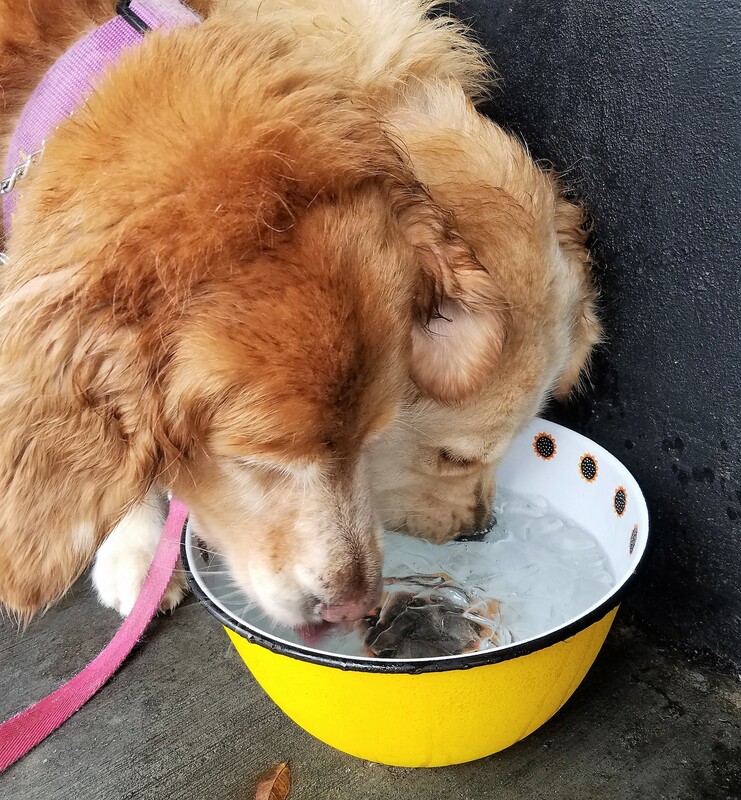 But I do like to drink from the community water bowls that we encounter on our daily walks, and I can be quite a kisser when I see another dog on the sidewalk. It’s interesting that my little sister, Tallulah, never came down with the virus. Mommy decided that it would be impossible to keep us separate while I was infectious. Plus, if Tallulah did catch viral papilloma from me, it’s not really dangerous and she would develop an immunity . . . kind of like exposing all the children in one family to chickenpox. We were considerate of other families’ dogs. While I was contagious, I didn’t drink out of public water bowls and I did not make contact with other dogs when I saw them on my walks. Just for the record, that part was really hard for me. 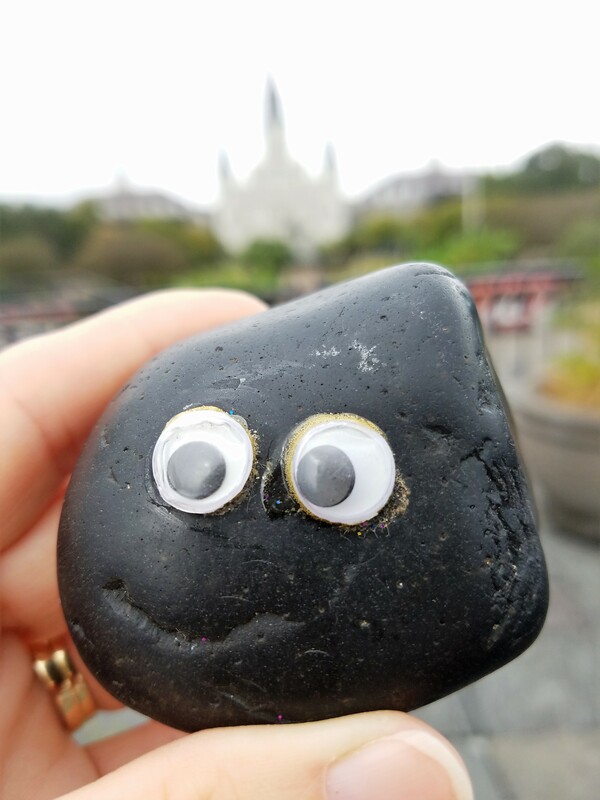 Late last week, my human mommy helped my rockin’ friend Bashful pack his bags and head home after an eventful stay in my hometown of New Orleans. He had quite a visit. Between a Pelicans basketball game, gumbo and brass bands, and laundry and red beans and rice, it seems Bashful was always on the go with my humans . . . and he was always eating. He may need some new clothes (one size up) when he gets home. Before Bashful traveled back to Bacon and the Hotel Thompson, I got to spend a very special day with my new little friend. 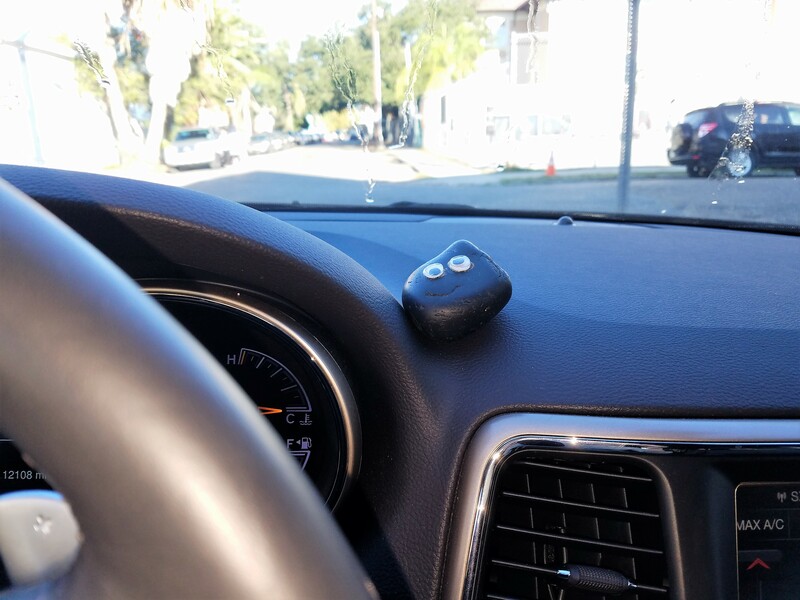 We were up bright and early last Wednesday and in the car for a road trip. Bashful called shotgun. I sent Bashful off with Mommy to run a few errands while I did my workout. 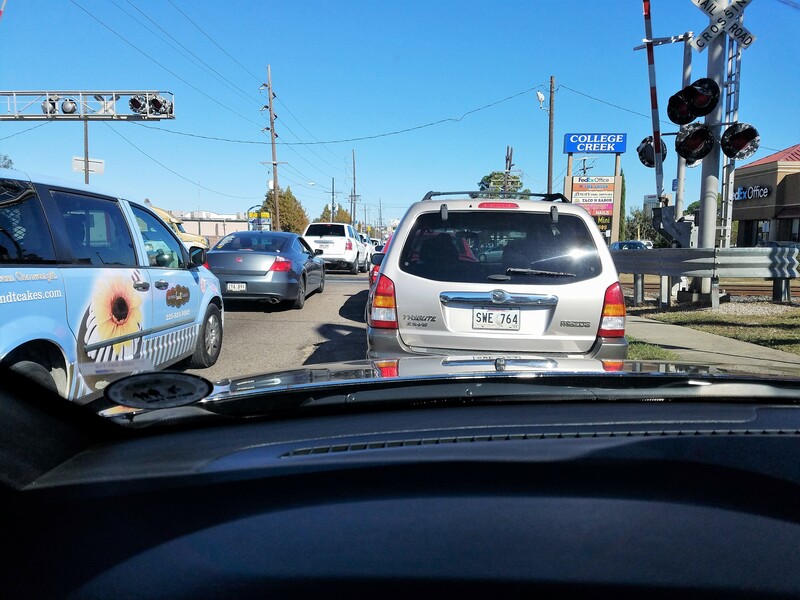 The pre-Christmas Baton Rouge traffic was even more horrific than usual. I want to apologize to Bashful for any words he might have heard as he and my human mommy attempted to traverse the city as quickly as possible. 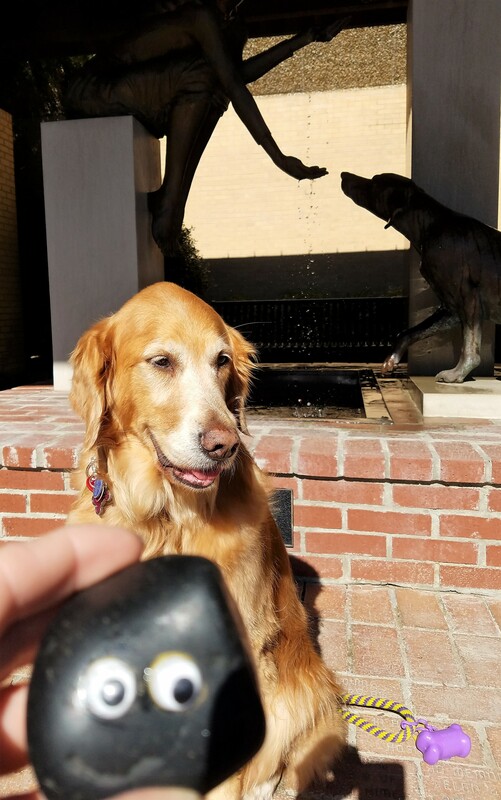 I sensed some slight traffic-related tension when Bashful and Mommy returned to the vet school to pick me up, so we all spent some chill time in the Serenity Garden with its beautiful fountain before heading back to New Orleans. 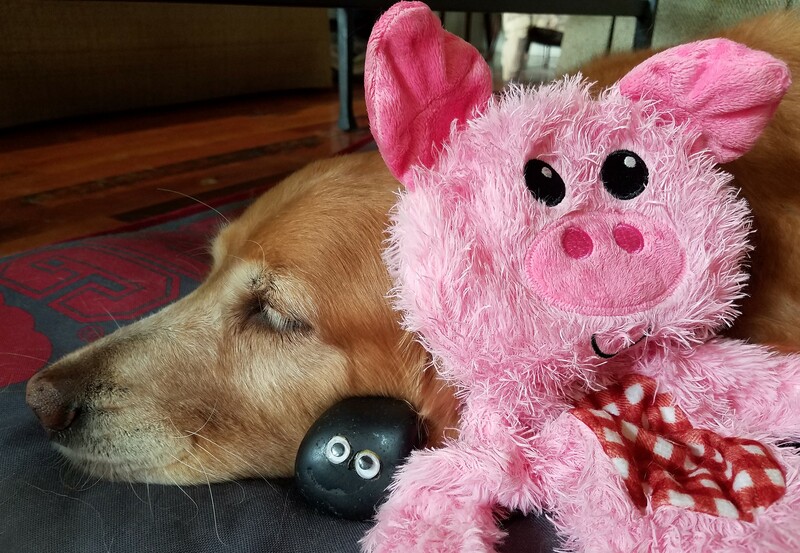 When we returned home, my little sister Tallulah Bee was still at Camp Bow Wow, which meant that the fabulous piggy toy that arrived with Bashful could come out to play. (Tallulah is a bit rough with toys, so they tend to run off and hide in a special cabinet when she’s around. When Tallulah goes to camp, the toys know that it’s safe to come out and play with me.) Bashful and I had had a pretty eventful day already, so after just a very short play time we were fast asleep. For the first time in her life, my human mommy is happy that I have x-rays . 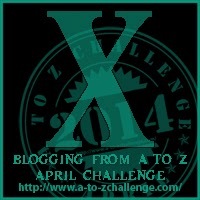 . . otherwise, what in the world would we have done for the letter X in today’s installment of the Blogging from A to Z April Challenge? I now present to you x-rays of me. I am not a veterinarian, so I have absolutely no idea what specific parts of me these x-rays show. 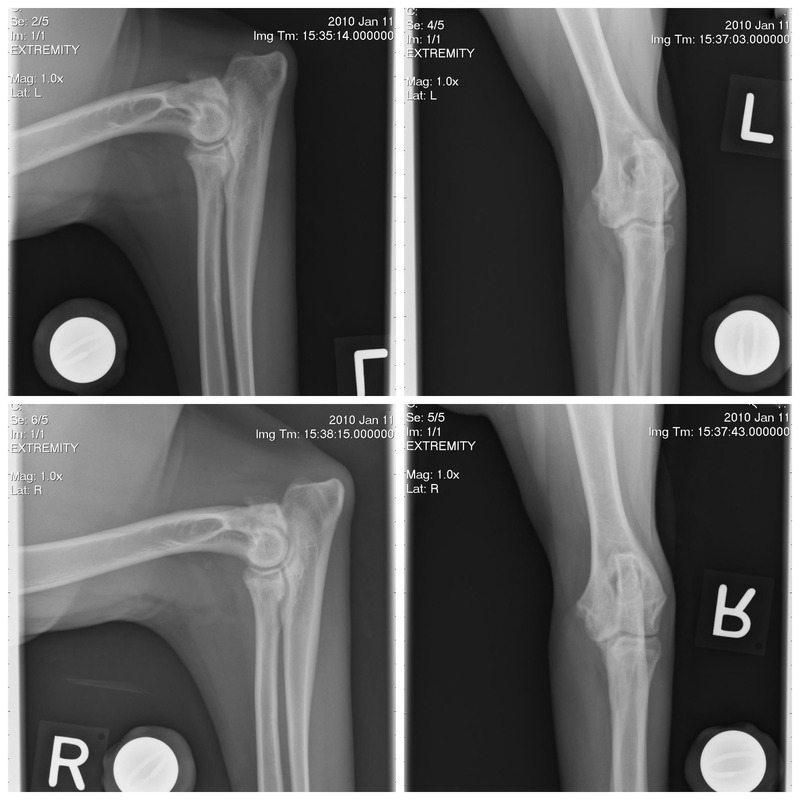 Here’s what I do know: A little more than three months before my first birthday, my humans thought that my hips might be a little “funny.” So off we went to the LSU School of Veterinary Medicine where I received a very thorough examination, which included these x-rays. The x-rays showed that I have hip and elbow dysplasia. 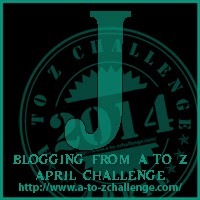 (I already told you about my hips and elbows in J is for JOINTS, so I won’t go on and on about that again, but you can click here if you want to refresh your memory.) That was more than four years ago. Maybe one day I’ll get a new set of x-rays, but for now I am doing well. I’m just happy that I have these to share with you, and now you’ve had an x-ray vision of me! 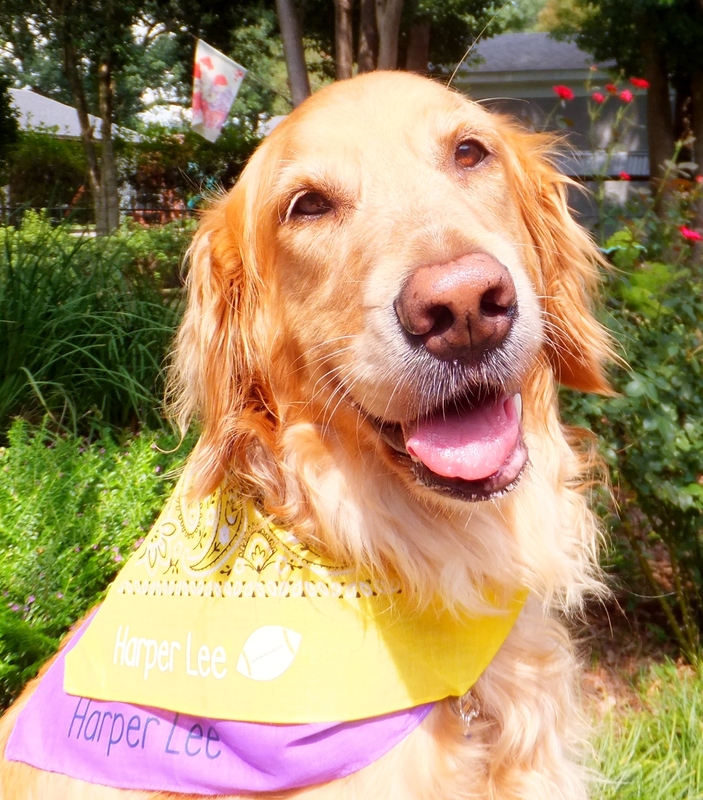 Today I would like to wish the real Miss Harper Lee, the Pulitzer Prize-winning author of To Kill a Mockingbird, a very happy 88th birthday. It is a true honor to be named after such a talented lady. Today, I would like to address the subject of joints. Oh, wait a minute. Maybe I should be a little clearer. I’m not talking about the kind of joints that were just legalized in Colorado. I’m talking about my joints . . . specifically my hips and elbows. 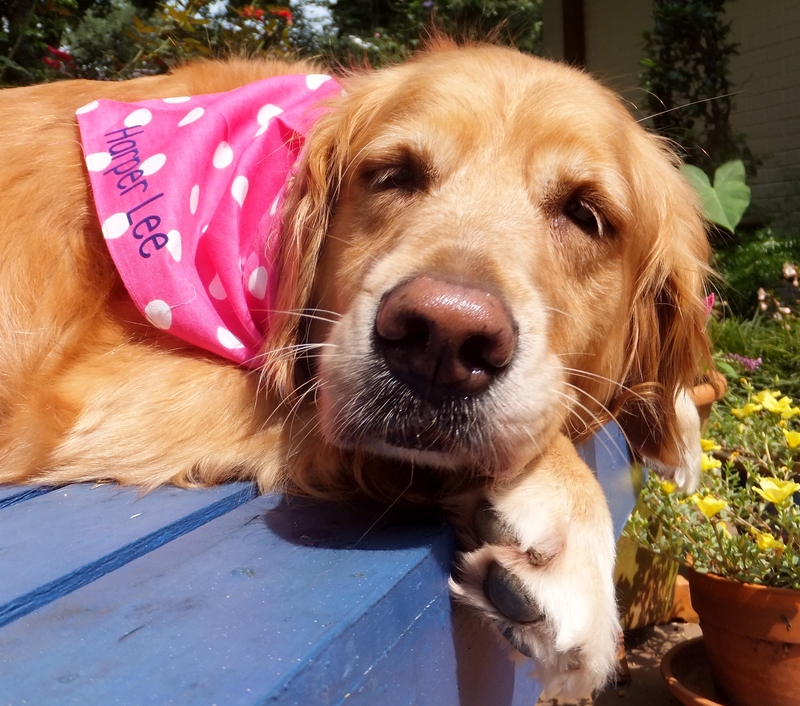 When I was a little less than a year old, I was diagnosed with hip and elbow dysplasia. (You can read more about my happy hips and elbows by clicking here.) As you can imagine, this was a hard diagnosis for my humans to hear. But we are all pleased to report that, more than four years later, I am doing quite well. I take daily walks to strengthen my muscles; I maintain my girlish figure; and I go to rehab (not the Lindsay Lohan kind) every other week to exercise on an underwater treadmill. I also take daily doses of Dasuquin and fish oil tablets. Dasuquin is a joint health supplement, and studies have shown that taking it with fish oil tablets can improve its effectiveness. 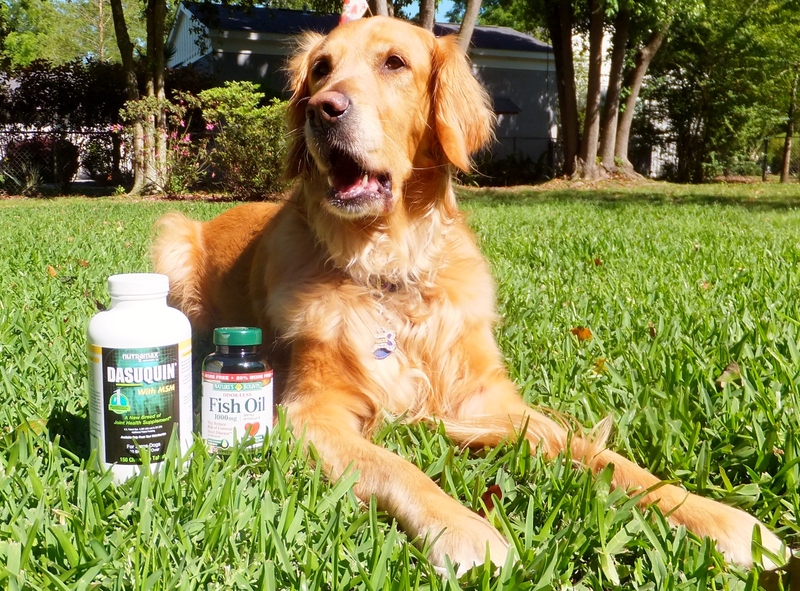 If nothing else, the fish oil keeps my golden coat beautiful. My humans and I aren’t certain what the future may hold . . . but, then again, who is. For the moment, we are all happy with my joints . . . I mean my hips and elbows. No, this is not an endorsement of another favorite treat (although I am a huge fan of Happy Hips). This is a story about my very special hips and elbows. A few months before my first birthday, my humans noticed that I wasn’t quite “right.” When I ran across my yard, I did a little bunny hop. Sometimes when I tried to stand up, I had a bit of a struggle. And when I sat, I tended to lean over on my hip. 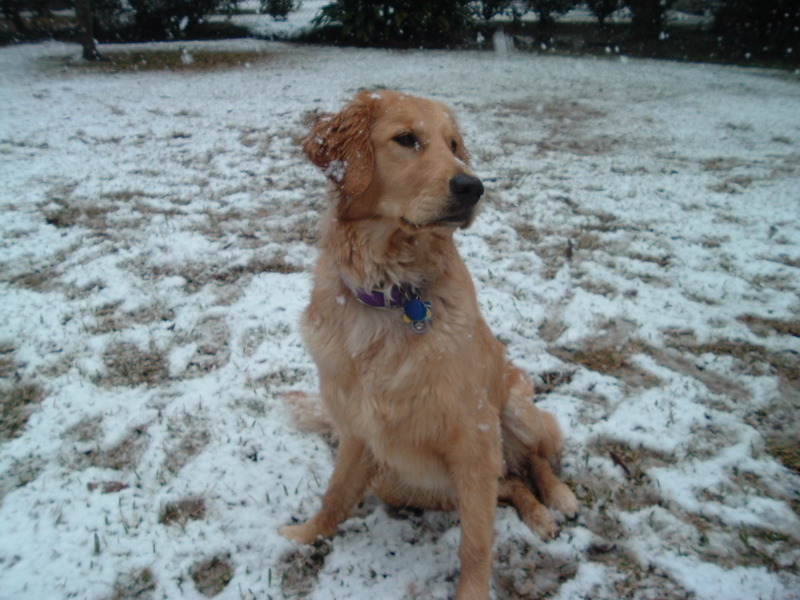 The picture above was taken that winter, during one of our rare South Louisiana snows. This was all very hard for my humans to hear as they held a Golden Retriever puppy who had not yet celebrated her first birthday. But they were encouraged. Rather than recommending immediate surgery, the report suggested a conservative therapy: non-steroidal anti-inflamatory medication, controlled activity, and weight control. 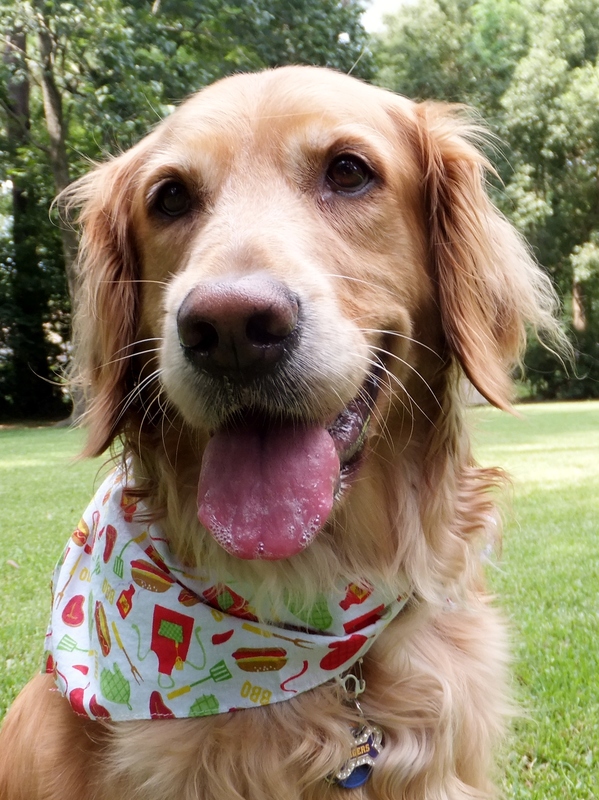 The veterinarians and future veterinarians said that I should receive regular exercise, including walks and swimming (I am still waiting for my humans to put that pool in the back yard!). They said that running, jumping, and rough playing should be avoided to prevent excess strain on my joints. 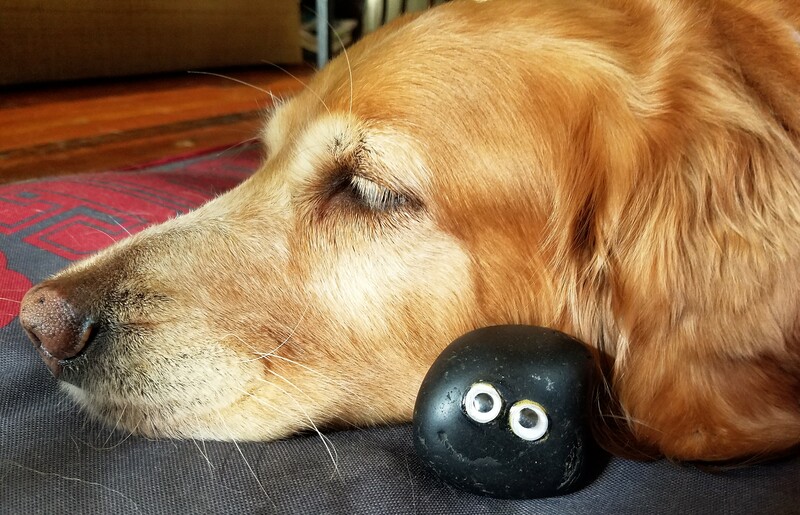 I think my human daddy was a little disappointed that I would not be joining him on his marathon training runs, but my human mommy was happy that she would have a daily walking companion. They also suggested that I should receive physical therapy through the vet school’s Companion Animal Rehabilitation Center. I started aquatherapy almost immediately. That’s me on the underwater treadmill, which allows me to build muscle and increase range of motion while decreasing stress on my joints. Our local public radio station did a story about my therapy. 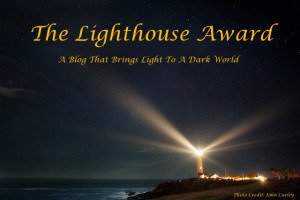 You can click here to listen to the story or read more. There’s even a YouTube video of me on the treadmill (don’t blink or you’ll miss it!). When I first started rehab (my human mommy always points out that it’s not like Lindsay Lohan’s rehab), I went twice a week. I improved so much that my visits were cut to once a week, and now I only go every other week. So you can imagine that my humans were a bit alarmed (to say the least) when they noticed me favoring my right front leg earlier this week. They immediately got me in to see my “primary care veterinarian” at Jefferson Animal Hospital. (My late sister, Lexi, and I started going there shortly after my first visit to the LSU vet school, and I’m so happy we did.) My veterinarian characterized my limp as a flare-up of a chronic condition. 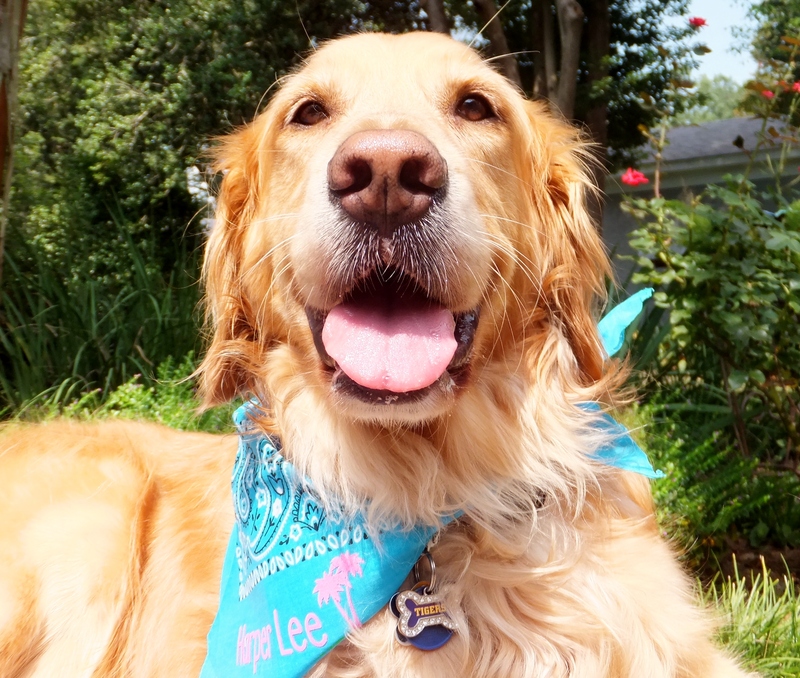 His recommended treatment included laser therapy, which I started immediately at the clinic. I had my second laser treatment yesterday, and I’m responding extremely well. It’s really quite enjoyable (probably more so when my human mommy isn’t there with that camera in my face). I go into a nice, quiet room with a big, fluffy dog bed. While one lady holds me (I like that) another shines a warm light (that’s the laser) all around my elbow. In about 15 minutes, I’m finished. 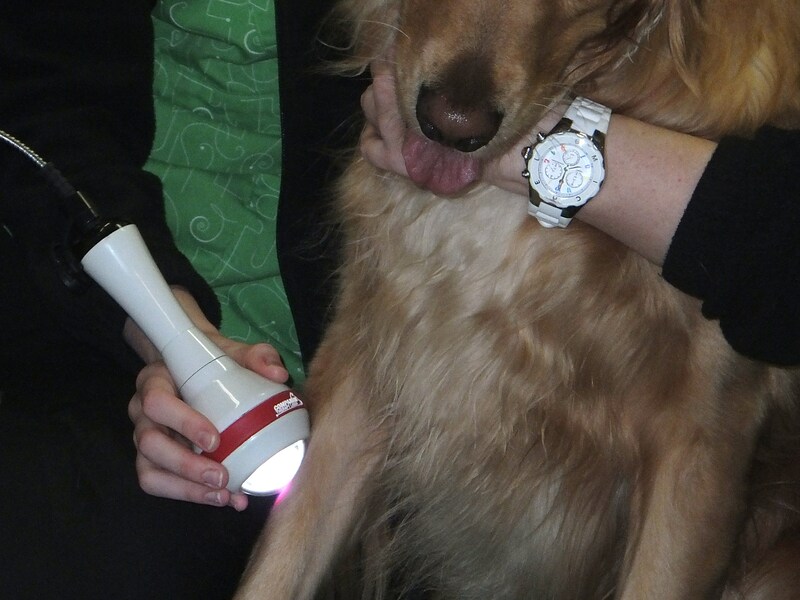 You can click here to read more about Companion Therapy Laser. That’s the current story of my happy hips and elbows. As I approach my fourth birthday in March, I am doing quite well. I enjoy my morning walks, and now that the weather is getting cooler here I’ll probably start working in an afternoon walk each day. To lessen the stress on my joints, I have been advised to control my weight, but that’s not a problem for me (don’t you just hate blondes who say that?). 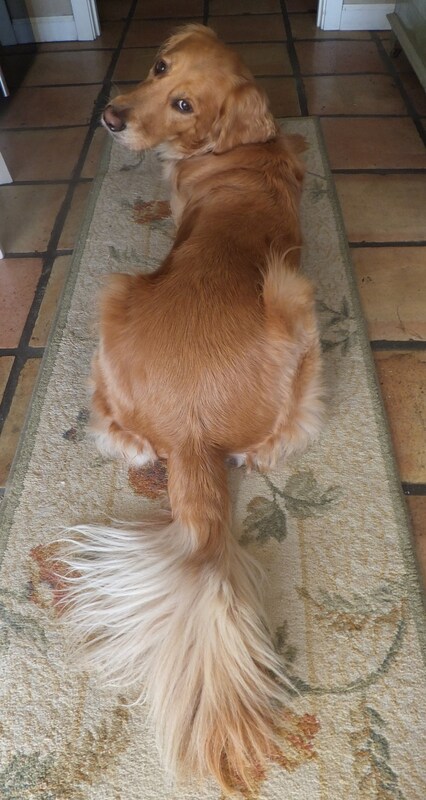 I take a daily dose of Dasuquin (a joint health supplement) with fish oil tablets (which studies have shown may increase the effects of the Dasuquin; if nothing else, it keeps my golden coat beautiful). 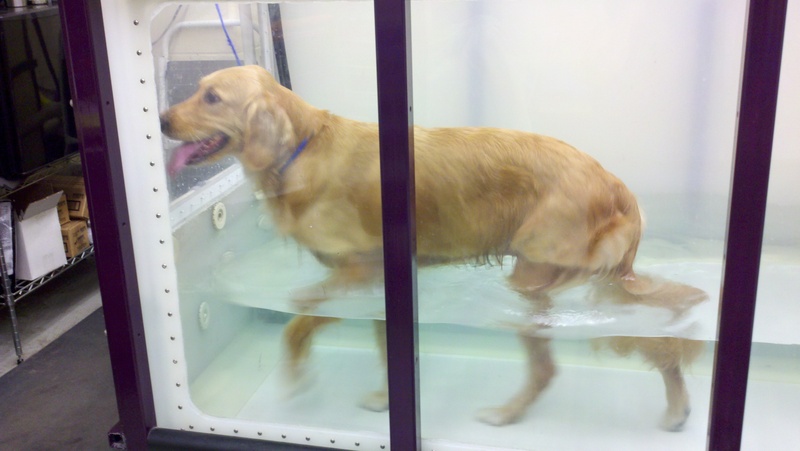 Every other week, I do my aquatherapy at the LSU vet school, and now I know that the laser therapy at Jefferson Animal Hospital will also help to keep my joints healthy . . . hopefully for a long, long time. This has been a long and somewhat serious post for me, but I thought it was important to share this information. I know that I am very, very fortunate to have the brillaint minds, cutting-edge resources, and caring people at the LSU School of Veterinary Medicine and Jefferson Animal Hospital. Those are certianly two of my favorite places. 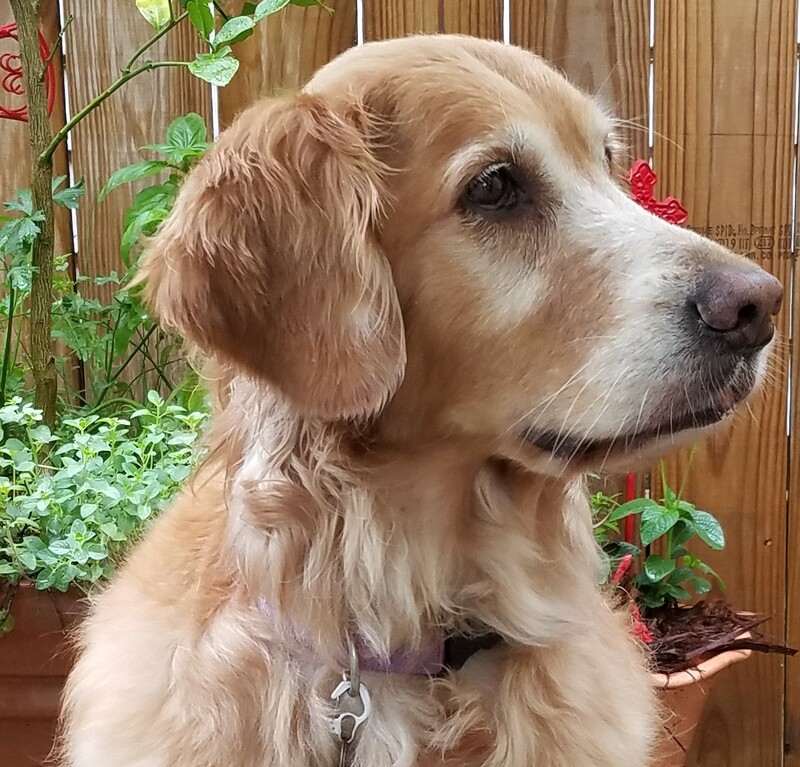 My humans and I realize that my special joints will be a lifelong challenge, but when they see me sitting in happy hips position (like in the photo above), they feel very good about my future.